An atmosphere of excellence and creativity–providing appropriate educational opportunities for all students. 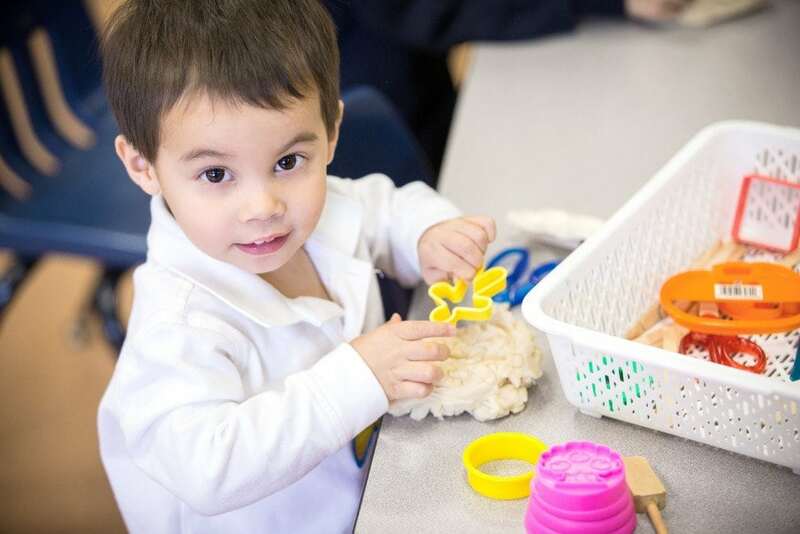 Oakville Christian School’s mission, Nurturing Excellence in a Christ-Centred Academic Environment, is now being extended to preschoolers! Oakville Christian School (OCS), has been offering quality education to students from JK through to grade 8 for over 30 years. The JK-grade 8 philosophy of teaching and learning at OCS is based on the Schoolwide Enrichment Model. The goal is to optimize the quality of scholarship through differentiated learning experiences that take into consideration each student’s abilities, interests, learning styles and preferred styles of expression. Through an atmosphere of excellence and creativity, we provide challenging and appropriate educational opportunities for all students. We encourage every child to reach his or her full potential academically, socially, spiritually, and emotionally. Our preschool program is led by passionate educators. Early Years are at an age that is about exploring, experimenting and discovery! Children learn best by a hands-on approach. They need opportunities to explore the world around them. Their progress is evident when a child’s face lights up at the moment of discovery when learning something new. Their love for learning is contagious! We are excited about sharing our love of teaching with these young students. As in all of the other classes at OCS, Christianity will be at the forefront of the preschool classroom. Along with an emphasis on developing Christian values and character traits, students will engage in Bible stories, sing related songs, and pray together before meals. The advantages to having a preschool within an existing school go beyond student readiness for Kindergarten. The JK and SK classrooms are right down the hall which provides opportunity for multi-age interaction as well as informal mentoring. This is encouraged among OCS students already. It is also evident that lifelong, meaningful friendships are more readily formed when students begin the educational journey at a younger age. The OCS Preschool will accept students from ages 2.5 to 4 years old with full-day or half-day (morning only) options. Hours of operation will be from 8:00 to 4:00 with an after-school program available if required. Prospective families are encouraged to attend the school's regular open houses held periodically throughout the school year. This is an opportunity to tour the school, meet staff members, view classrooms and student work, and talk to some of our existing parents. Daily morning tours are also available by appointment.